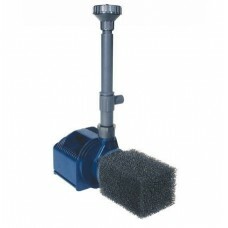 NEW from Lifegard Aquatics, the Lifegard Quiet One Pond Pump is a super quiet pump for wet and dry applications. The new snap on/off molded cover provides the aquarist with the ability clean the inner working of the pump. The patented Uni-directional impeller allows for quiet operation and improved flow. Innovative cooling chambers help dissipate heat, providing air cooling during dry use and cooling in submerged applications. There is an easy to set flow control dial on 800 and 1200 models. All models include fountain spray nozzles, a 20 foot cord and foam pre-filter. The Lifegard Quiet One Pond Pump is the perfect solution for those looking for an inexpensive pump to create flow in a pond or supply a water feature. All Lifegard Quiet One Pond Pumps incorporate a ceramic inner shaft and balanced impeller for years of trouble free maintenance. All Lifegard Quiet One Pond Pumps can be converted into a mini water feature with the addition of a spray attachment which is included with the pump. When in need look for a lifeguard pump! ECO-SAV generates more power with less energy consumption. 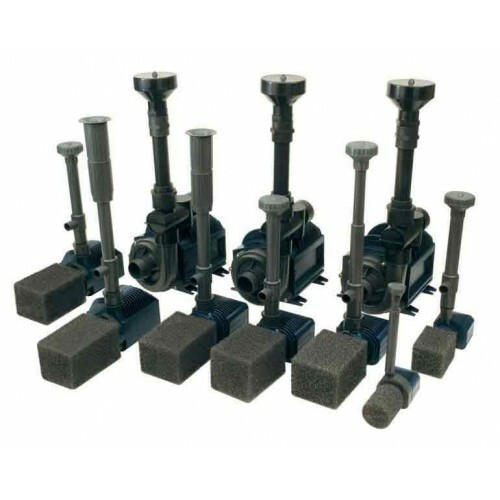 Pond models include 20 foot cord, foam pre-filter and nozzles for spray attachments. High quality corrosion resistant ceramic bearings help ensure quiet operation and longer life. Innovative “cooling chambers” provide air- cooling during dry use and water-cooling in wet applications.